Here we are at the end of our second full year as a full time comedy website and there have been so many changes, and we have so many more changes to come!!! First we want to thank everyone who works so hard to keep the content wheel turning here. The contributors, the writers, the people who keep the site running, and of course the readers, commenters, and people who share our content around the web. All of that is essential to growth and we appreciate it more than you know. 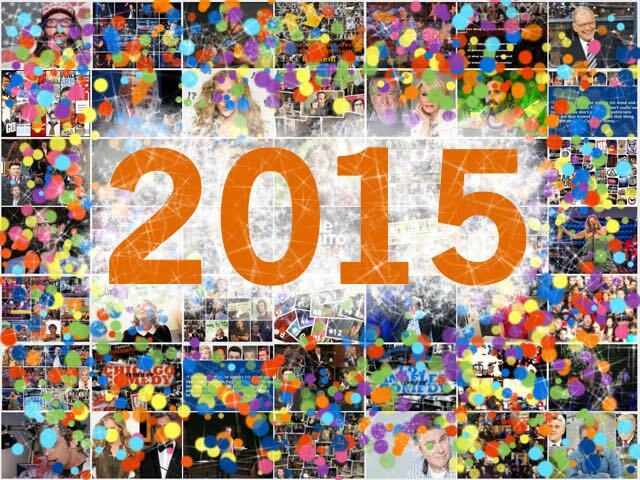 In 2015 we focused on increasing content and produced almost double of what we did in 2014. We have even bigger ideas for 2016 so please stay with us. We’re planning on bringing on more writers, so we can create better articles and hopefully be able to bring on some more part time help as the year progresses (maybe even a proofreader!). If you’re a budding writer, researcher, or have skills to contribute, let us know by emailing editor@theinterrobang.com. Special thanks this year go out to Amy Hawthorne, Jeffrey Gurian, Kevin Kanach, Earl Douglas, John Young, Debra Kessler, Dan Perlman, Dan Murphy, Sharon Dougherty, Gina Strumelo, Barry Crimmins, Lesley Coffin, Mike Bocchetti, Barry Taylor, James Kamp, Foggy O, Mike W, Christine, Jamie, and some new friends who have already submitted content you’ll be reading in 2016- Mike Feeney, Kristen Becker, Ramon Rivas and Christina Stiehl. Thank you also to our comedy friends who keep us updated including comedians, club owners, bookers, managers and producers and most of all to all our good friends at SiriusXM and the Bennington Show, Ron Bennington and Gail Bennington for another amazing year of collaboration, Chris “Pepper Hicks” Stanley, Joey Joe Joe and Vito Calise for helping us to turn our Periscope into something fun, and all the #ScopeBros. For our final year end story, we’ve picked our 45 favorite stories this year, which was absolutely impossible because we love the content everyone has submitted– 15 features, 15 lists and 15 interviews. If you’re just joining us, this should catch you up to date, and you really want to see the best of everything we’ve done you can also check out our Very Best of The IBang 2014 page.